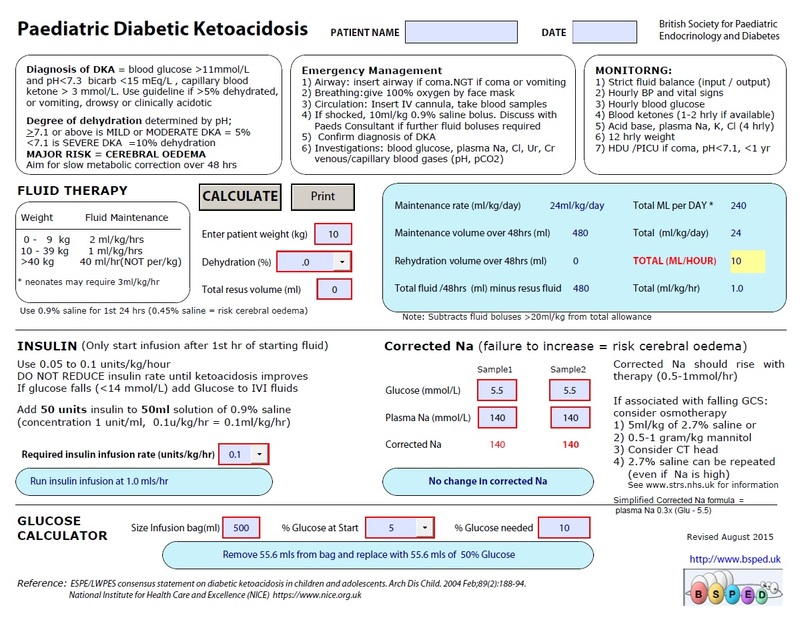 Paediatric DKA Guideline 2015 – What’s new? In DKA, there is a hypertonic state due to the massively elevated plasma glucose concentration. The theory is, that in order to avoid osmotic losses, brain cells produce osmotically active substances to counter the extra osmolality of the hypertonic plasma. If the plasma glucose concentration is corrected TOO FAST, not giving time for the osmotically active substances in the brain to dissipate, fluid gets drawn into the cells causing cerebral oedema. BSPED highlighted seven major updates – mostly about fluid management – that I’ll explain briefly. The full guideline runs to 92 pages so probably not one to sit down to unless you have insomnia. According to the 2015 guideline, pH below 7.1 = severe DKA. Kids with pH above 7.1 (mild to moderate DKA) should be assumed to be 5% dehydrated, and kids with pH below 7.1 should be assumed to be 10% dehydrated. This is a change from the previous 2009 guideline, which said that you shouldn’t ever assume more than 8% dehydration. Now worried about over-hydrating these patients? Read on, as most of the other changes are all about controlling the total amount of fluids given. Giving fluid boluses to children with mild to moderate DKA (pH above 7.1) is NO LONGER recommended. This reduces the risk of causing cerebral oedema by rehydrating too fast during initial management. You should only be giving one fluid bolus to a child in severe DKA (below 7.1 pH) – after this, any further fluid boluses need to be discussed with a senior paediatrician. If you’re following points 2) and 3), the kid probably won’t have had over 20ml/kg in the way of fluid boluses anyway. The 2009 guideline recommended changing to 0.45% NaCl for intermediate to late rehydration. New guideline makes no mention of 0.45% NaCl – just continue with your 0.9% for the 48h rehydration period. All fluids (apart from initial bolus, if given) should have 40mmol/L potassium chloride (unless the kid is in renal failure). I thought this one was fairly well accepted already (although in hindsight I used to work in a tertiary paediatric diabetes centre so they may have been ahead of the curve). Gradual correction of blood glucose is the name of the game. Also, the full guideline reiterates NOT to use insulin boluses. Use the BSPED .pdf calculator! 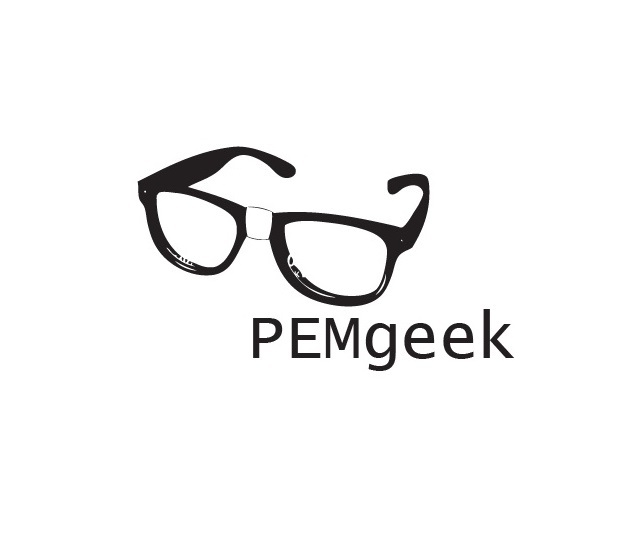 Seriously one of the most useful clinical management tools out there.